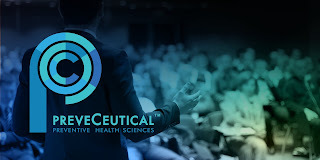 Preveceutical Medical Inc. filed a notice of civil claim against Aly Babu Mawji, Justin Liu, BridgeMark Financial Corp., Rockshore Advisors Ltd. (Cam Paddock Enterprises Inc.), Detona Capital Corp., Escher Invest SA, Essos Corporate Services Inc., Jarman Capital Inc., JCN Capital Corp., Kendl Capital Ltd., Lukor Capital, Northwest Marketing and Management Inc., Sway Capital Corp. and Tryton Financial Corp.
Preveceutical Medical made claims against the BridgeMark group for fraudulent misrepresentation, breach of contract, conspiracy, unjust enrichment and breach of duty of honest performance in connection with services that the BridgeMark group has failed to provide. The relief sought by Preveceutical includes: (i) rescission of the consulting agreements and the subscription agreements; (ii) all necessary actions to effect such recession, including an order that the relevant members of the BridgeMark group return the securities issued to them by Preveceutical Medical under the subscription agreements and refund the consulting fees paid to them by Preveceutical Medical under the consulting agreements. Upshot? Not much to see here. It will very likely take years to obtain judgement and by then for certain nothing will be left. All the crooks will be needing to file lawsuits moving forward. This protects their own grossly dirty anuses. What IS interesting is if Provincial civil forfeiture offices get involved ... which some are suggesting is already happening. Jackson's $ 16m home/palace is ripe for the plucking.